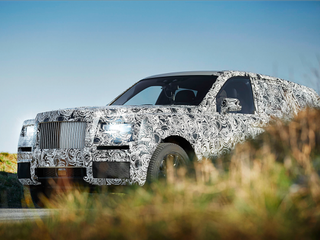 The Rolls Royce Cullinan Project. Wish they’d name it Rolls Royce “Shadow Fortress” since that name didn’t get used for the B-21 “Raider.” For badass names for bigass cars go to Rolls Royce. But seriously, RR should have been making these years ago.